Yesterday, we were forced to go out to smell fresh air or die of boredom at home. Usually, we spent our time watching tv during weekends because: a. It's too hot to go outside, we might get skin cancer. b. Going out = spending $$; and we are not feeling that rich at this time of the month. In fact, at any time of the month. So we decided to rekindle the old flame and went out on a date. Our choice of location was Lake Garden because we figured there'll be less people compared to Titiwangsa and more shady as the garden has more trees. We were wrong on the less people part - the park was filled to the tiniest foot square with kids and parents. Kids running and screaming everywhere. Joggers, and even people filming a telemovie. We bought some food so we can sit somewhere and have something to munch and a cold drink to cool ourselves, then set out to find a good place to sit and watch people. We talked and walked, and talked some more. 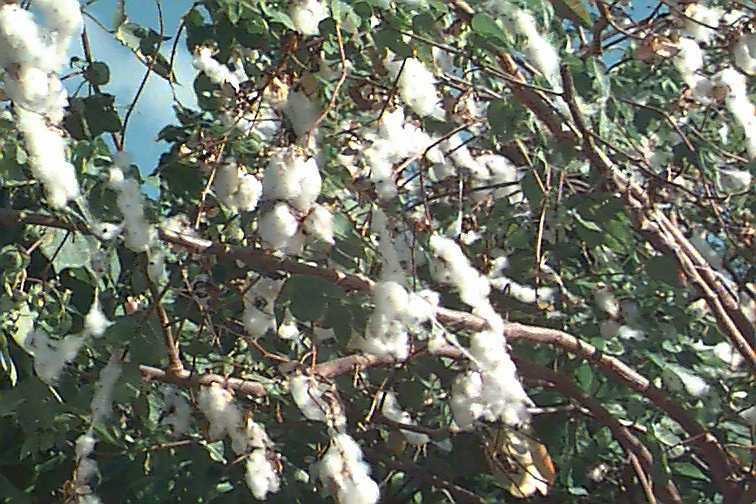 Suddenly we spotted a cotton tree, with heaps of cottons on the ground. It looked like Christmas out of season. I was fascinated and kept blowing the cotton to see how far it could float. My suami terchenta pulled me away, afraid that someone would see me acting like a three-year old kid. We resumed our walk until we came to the lake. Much to our delight, we saw some families renting pedal boats! Apa lagi, nak main jugak la. Sewa pedal boat kat Taman Tasik Perdana cuma RM6 sejam! We went from one end of the lake to the other, tried to go after the ducks and geese, then pedaled closer to the fountain jets to get some wisps of cool air. By the time we finished using the pedal boat, it was after 6.30pm. Time to go back home. Before that, we stopped by Gombak to do some groceries, and only headed home around 7.30pm. As he drove, my husband draped a hand over my shoulder and I leant against him and changed the gear on cue. We sang with the radio then watched the road in silent. I found that I was enjoying myself and that evening had been a peaceful one. And we both agreed that it was a perfect date that we could repeat every week. Maybe when we are not too lazy to go out anyway.